With effect from 01.01.2018, wissner-bosserhoff has reorganized its sales activities in Singapore and welcomed Lifeline, one of the most well-known Singapore companies in nursing care segment, as their new partner. 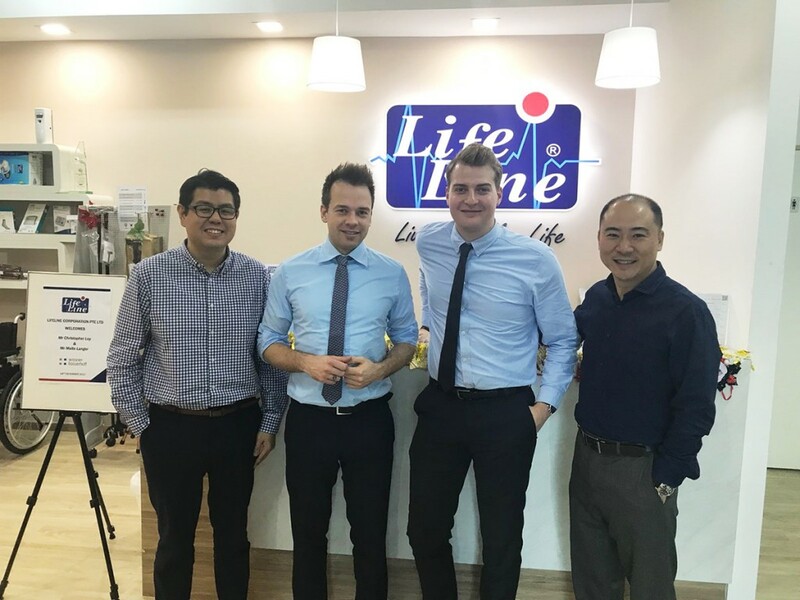 Lifeline is a provider of various medical and personal care products and has been active in the residential and personal care sector in Singapore for many years. It is one of the most reputable companies in this industry in the region and well known by all the famous nursing homes in Singapore. In addition, Lifeline has sales structures in Malaysia and Brunei – two countries in which wissner-bosserhoff is not yet represented – so that in the medium term further sales opportunities for the Wickeder company could open up. Since the turn of the year, Lifeline has been in constant contact with customers for wissner-bosserhoff in the region. The first major event for the two companies will take place at the region’s premier industry event, Aging Asia (May 15-16, 2018). wissner-bosserhoff is already represented here almost traditionally as an exhibitor. Wissner-bosserhoff GmbH and LINET spol. s r. o. are managed by LINET Group SE, based in the Netherlands. With production sites in Wickede (Ruhr) in Germany and in Slaný near Prague, as well as sales offices in Europe and the U.S., the LINET Group is operative in more than 100 countries and has over 1,300 employees. In the fiscal year 2015/2016, LINET Group SE achieved a gross revenue of close to EUR 230 million and is Europe’s leading provider with about 90,000 high-quality nursing home and hospital beds sold. Hear from Mr Melvyn Yeo, Managing Director of Lifeline Corporation Pte Ltd, Singapore on his thoughts about the 8th International Ageing Asia Innovation Forum (25-26 April 2017). Copyright © 2019. Lifeline. All Right Reserved.